The JR Pass is the best way to travel Japan. Not only can you and your family enjoy unlimited rides on most JR trains, but you can also use many of the JR bus services as well. 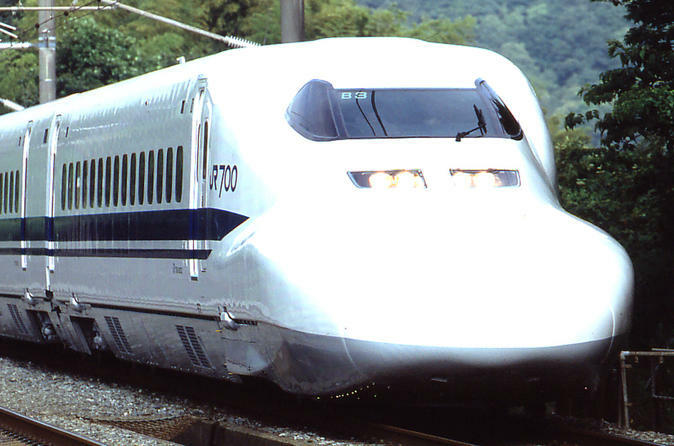 You can ride the famous bullet train, the express Shinkansen! This JR Pass includes a 7-day pass, FedEx shipping fee to your designated address (selected countries only. Please review the country list below) and your choice of 2 types of seat classes: Standard or Green (first class) seating. You must purchase this ticket prior to your trip to Japan. Select and purchase your shipping area and seating type from the tour options. At the checkout, you must provide your your full name and title exactly as they appear on your passport, gender (Mr or Ms), a mailing address (no P.O. Box addresses) and phone number. After the purchase is made, the local operator will send you a JR Pass Exchange Voucher and detailed instructions by FedEx within 4 business days to the provided address. Please take your exchange voucher and your passport to any JR Pass exchange office for the eligibility verification process upon arrival in Japan. Once eligibility is verified, you will be asked for the desired starting date, and you will receive your Japan Rail Pass. Exchange offices are located in main areas within Japan including Narita airport and Kansai airport. To use your pass, simply show your JR Pass to a train staff when entering the ticket gate. You cannot go through the automated ticket gate and must use the "manned" ticket gate. The beauty of the pass is that you can use the Japan Rail Pass on most railways and buses that are operated by the Japan Railway (JR) Group. What is a "Green Car” in comparison to a "Standard Car"? The Green Class Car is equipped with upscale comfortable seats that are wider and more spacious than those in the Standard cars. The car is also carpeted with extra room for luggage, and the attendant will provide you with a hot towel upon boarding. Depending on the season, the Standard Class Car can become very crowded, with little space to place luggage. Can I use the Japan Rail Pass to board any train, bus, or ferry in Japan? You can use the Japan Rail Pass on most railways including Hokkaido, Tohoku, Joetsu, Hokuriku, Tokaido, Sanyo, and Kyushu Shinkansen. Tokyo Monorail and buses that are operated by the Japan Railway Group are also eligible for use.